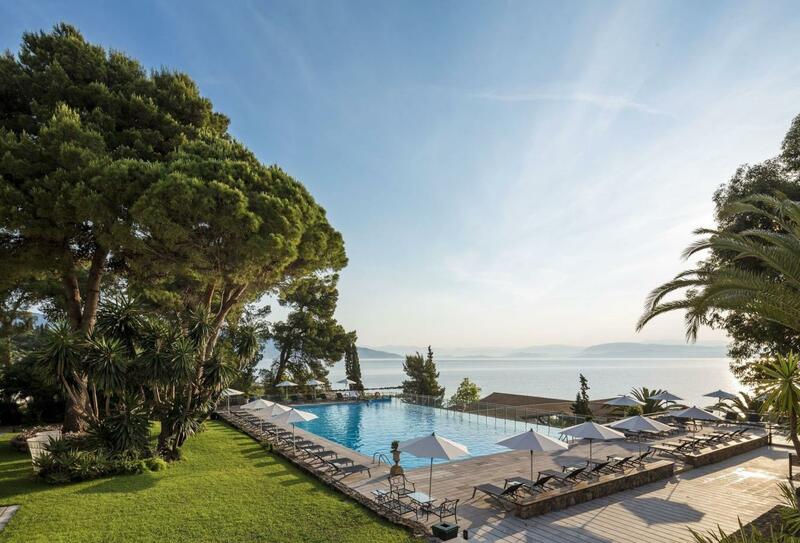 Overlooking the sparkling blue waters of the Ionian Sea, Kontokali Bay Resort & Spa is a hotel featuring rooms and suites in the midst of pine-laden gardens. 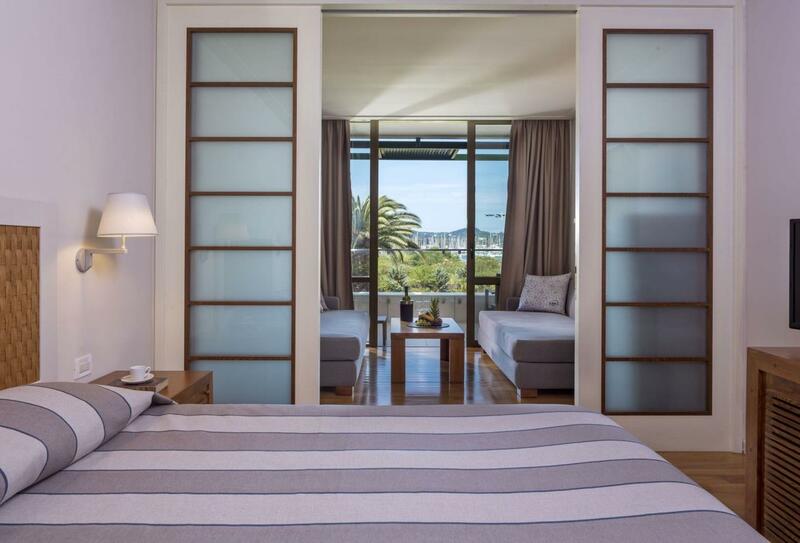 Each room is nestled on one of the five floors of the hotel and features a simple colour scheme and views of the gardens, the sea, or the bay. The Presidential Suite is the highest and most luxurious of the accommodation options and would suite a family or group of friends in its two bedrooms, two bathrooms and luxurious heated swimming pool with 2 private Jacuzzis. Fun activates are plentiful, particularly the water sports that includes water-skiing, wakeboarding and paragliding. However, the allure of the spa is irresistible. Located next to the main building the spa specialises in a range of therapies and treatments such as wraps, scrubs, facials, reflexology and aromatherapy. 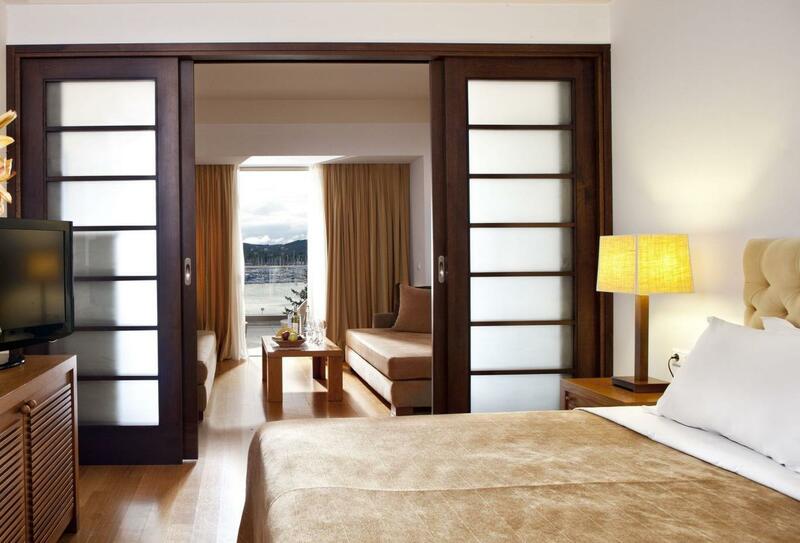 Two rooms are separated by a sliding door, which offers more space for families. 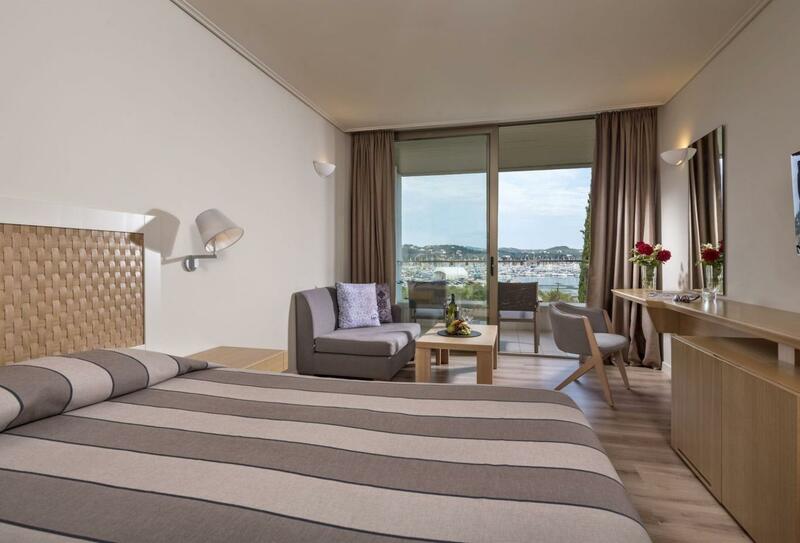 One space acts as a lounge area with two sofas, while a furnished balcony offers views of the hotel gardens and romantic sunsets. 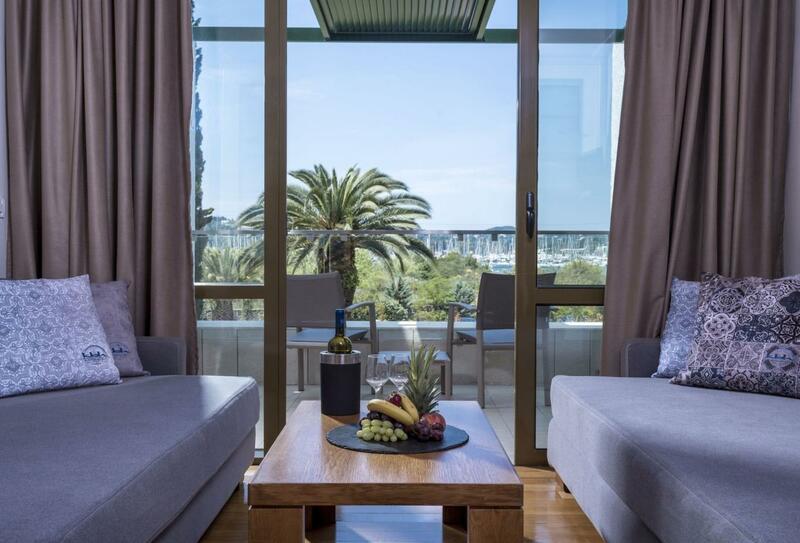 Better suited to a couple seeking a private, romantic escape, the Deluxe Suite One Bedroom offers a separate living room and bedroom and a terrace. 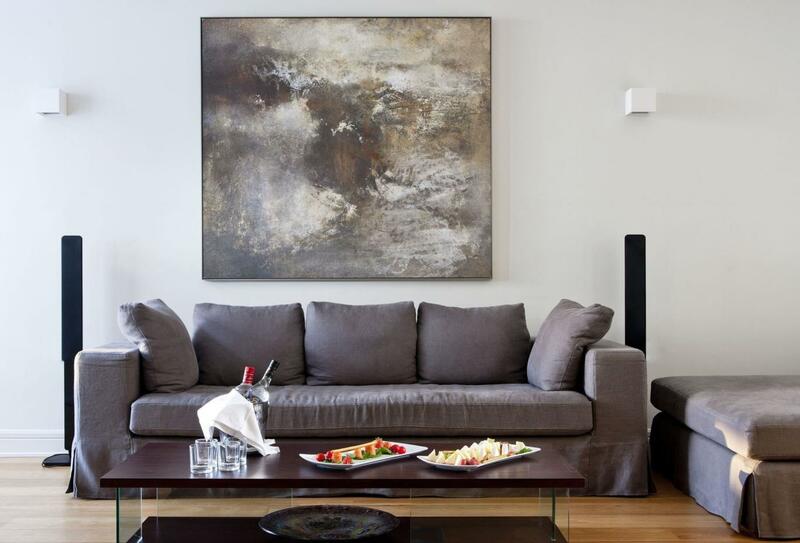 Artwork is dotted around the suite, while colourful furniture adds a sense of intimacy to an otherwise low-key palette. Looking over the main pool beach and the Ionian Sea, the Executive 2 Bedroom Suite features a large terrace, two bedrooms, two bathrooms and a welcome cocktail. 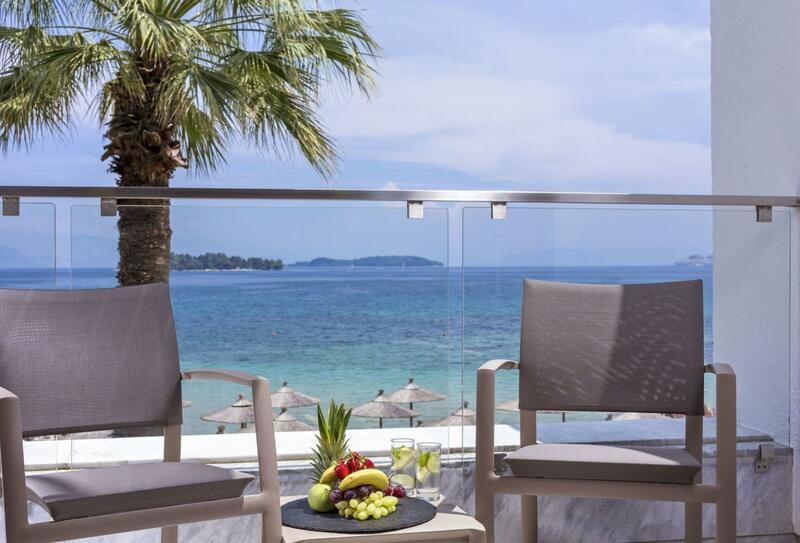 Located on the second, third, fourth and fifth floors of the main building, the Bay View rooms feature a furnished balcony and scenic vistas of the Marina Gouvia and the hills of Corfu. 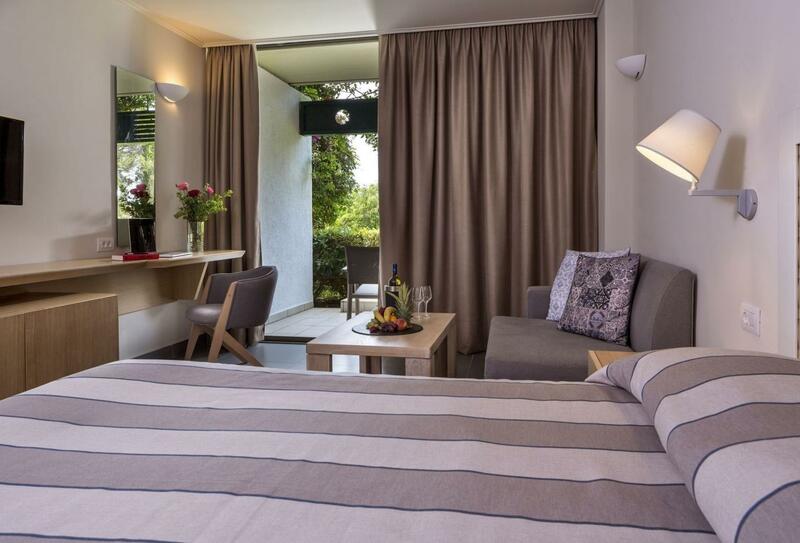 Located in the main building of the hotel, these rooms offer views of the gardens and partial views of the Marina Gouvia and the hills of Corfu from a furnished balcony or terrace. 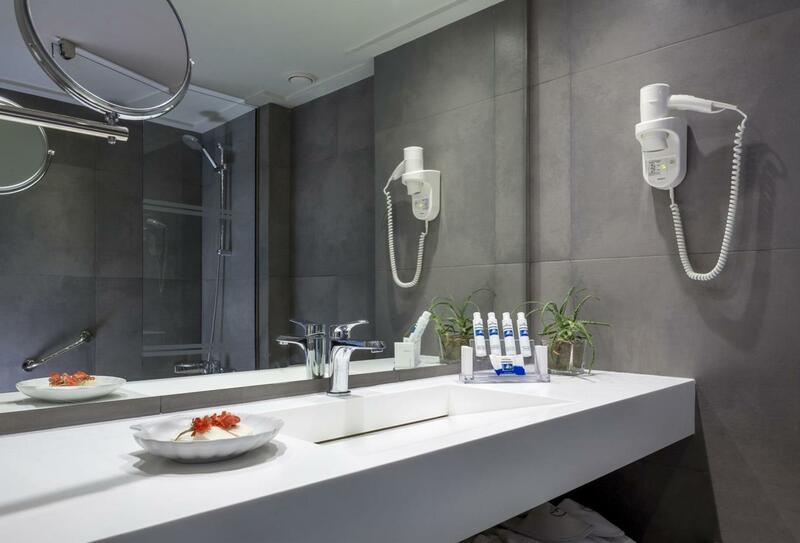 Interiors are outfitted with a bathroom and a small lounge area. 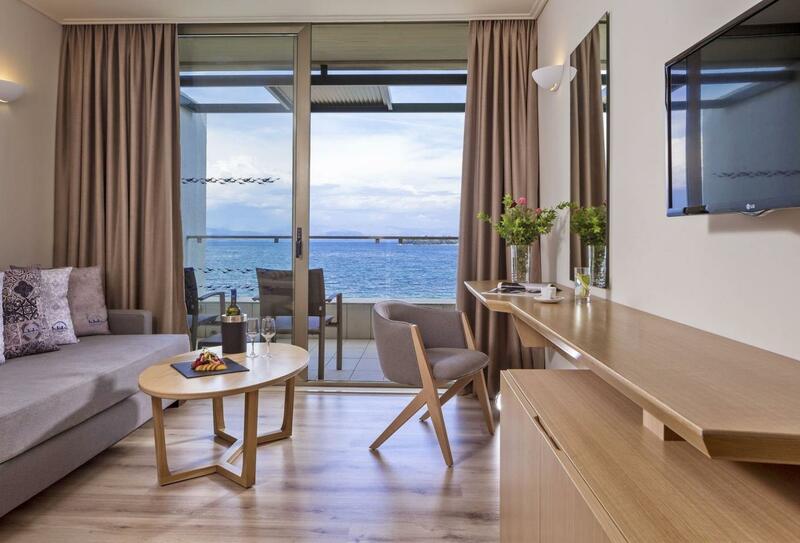 The highlight of the Sea Front room is its prime views overlooking the Ionian Sea and the coastal mountains of mainland Greece. The views are particularly romantic by night from a terrace. 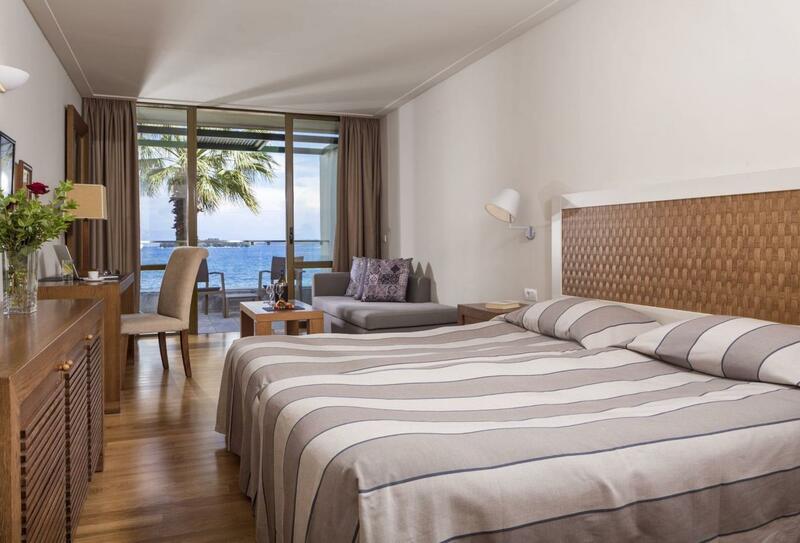 Decorated in beige tones and splashes of purple furniture, the Sea View rooms overlook the sea and the coastal mountains of mainland Greece. Each room offers a balcony or terrace. A cosy lounge space is separated from the bedroom by a divider, offering complete privacy for the whole family. 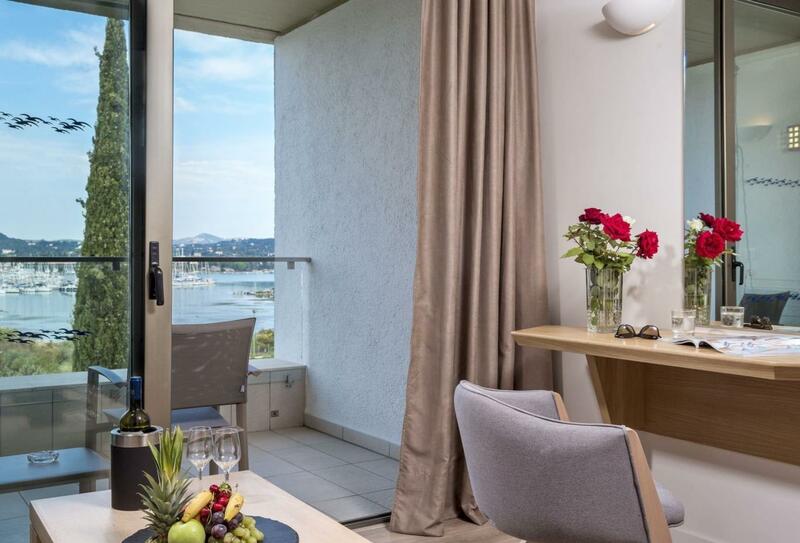 A balcony offers views of the Marina Gouvia and the hills of Corfu, but the real treat is its excellent positioning for sunsets. 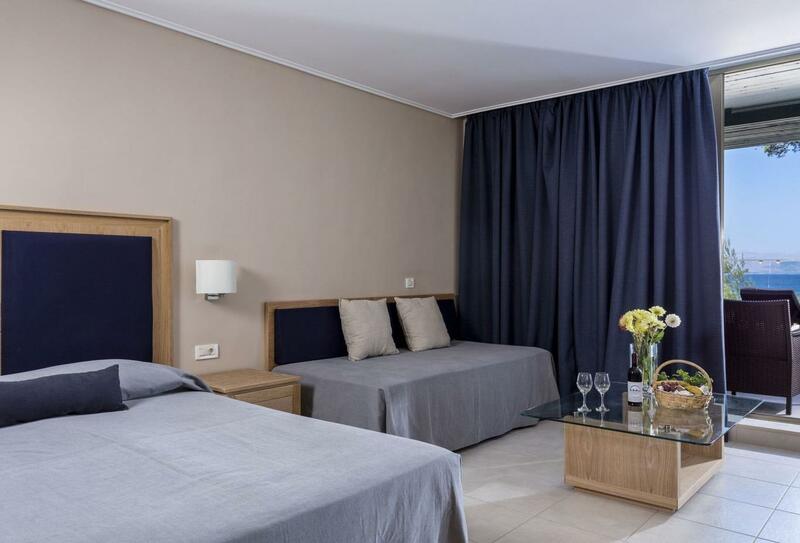 Located on the ground floor, these rooms offer easy access down to the Ionian Sea and fantastic views from a furnished terrace. 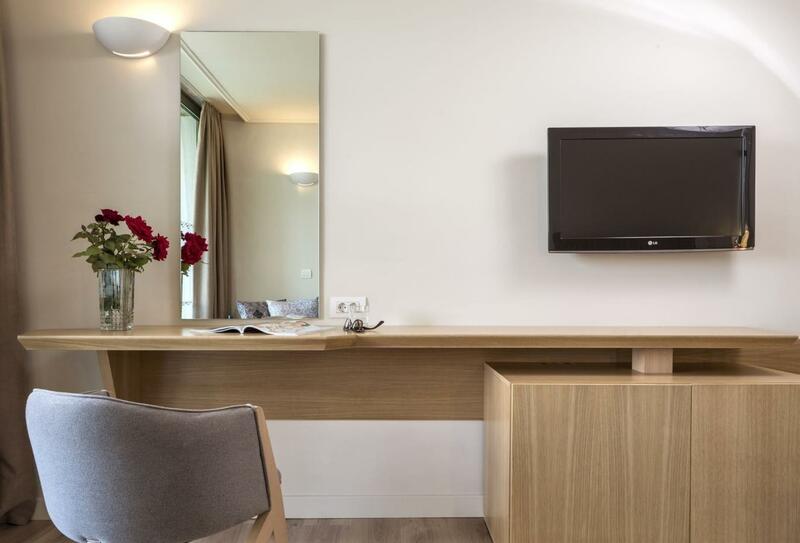 Couples will be better suited to its stylish and cosy interiors. 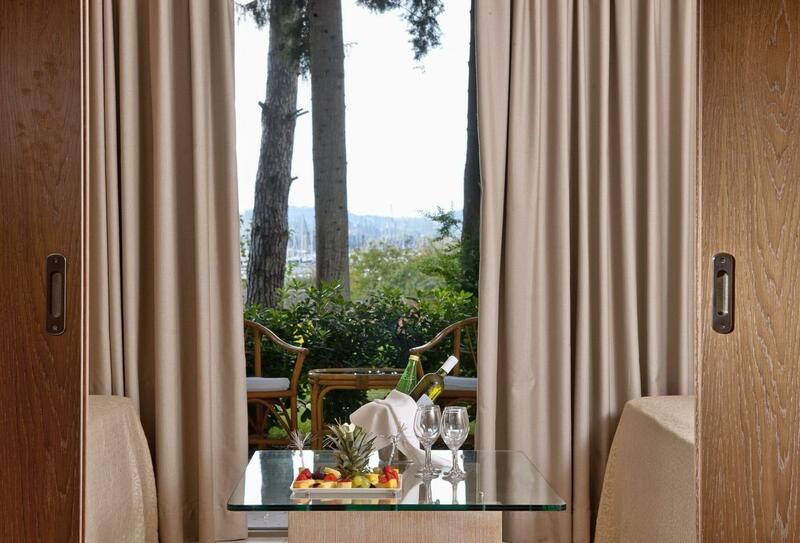 A comfortable accommodation for couples looking for an extra injection of luxury. 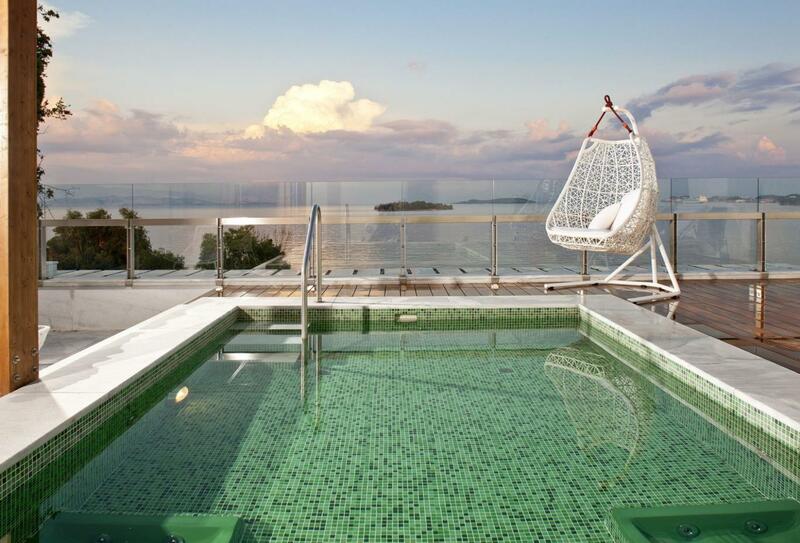 These Executive Suites feature a terrace and a private pool. 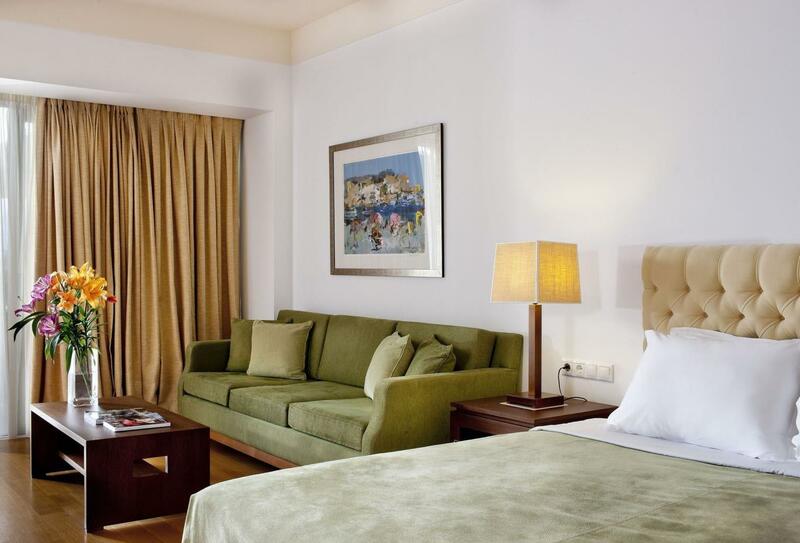 This inviting suite has a home from home feel, with its generous bathroom, walk-in closet and a comfy lounge area. 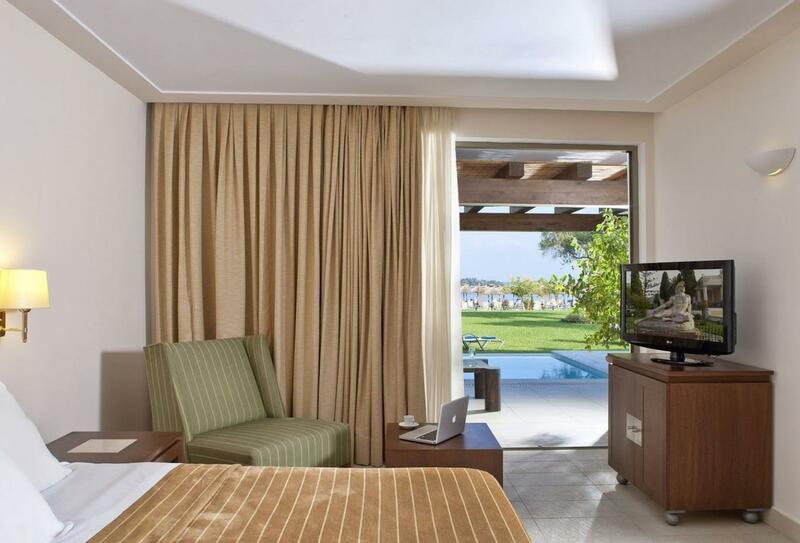 Located on the ground floor, the Junior Suite overlooks the Ionian Sea and features its own private terrace and swimming pool. 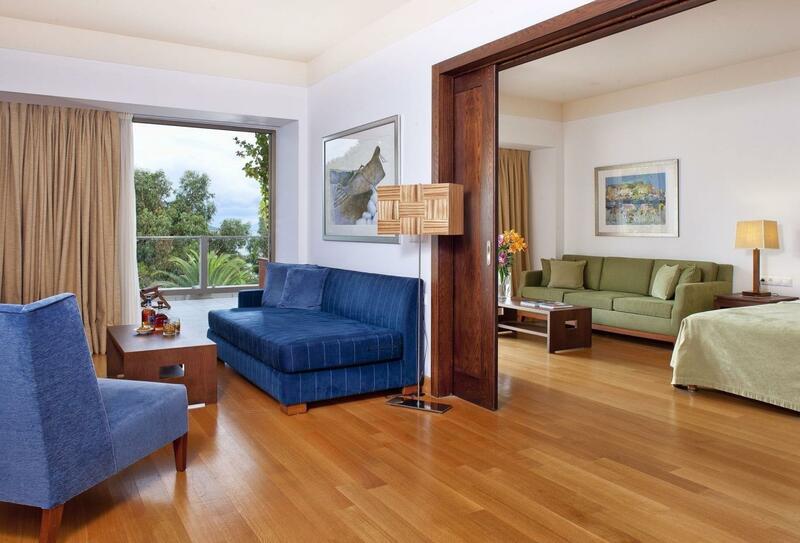 A lounge space accompanies the bedroom inside the suite. 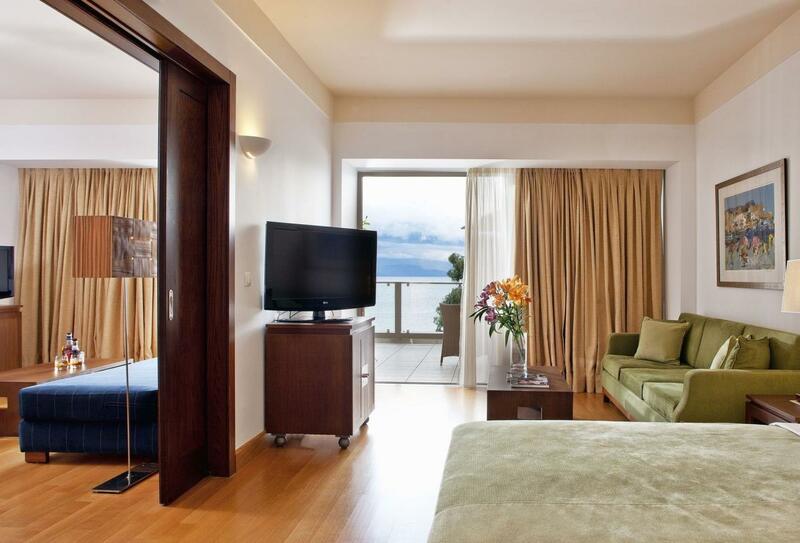 Located on the top floor of the hotel, the Presidential Suite is the largest of the accommodation options at Kontokali Bay. 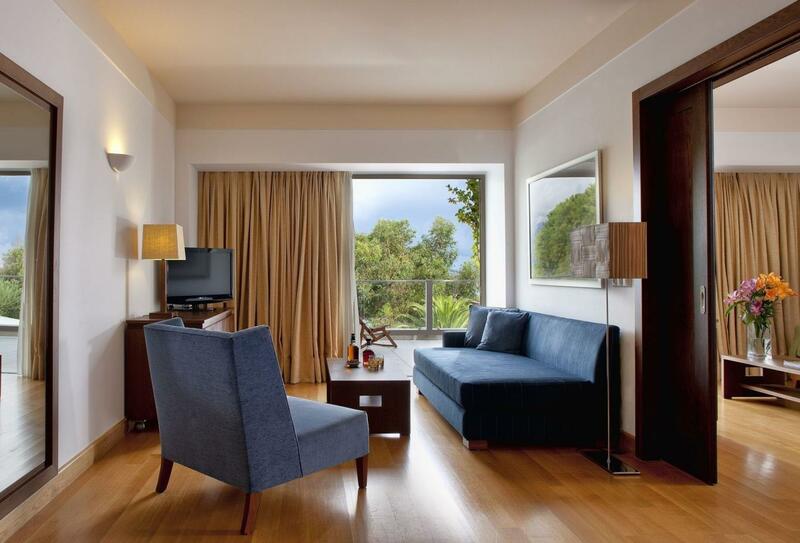 With its abundance of space, the suite is ideal for families. 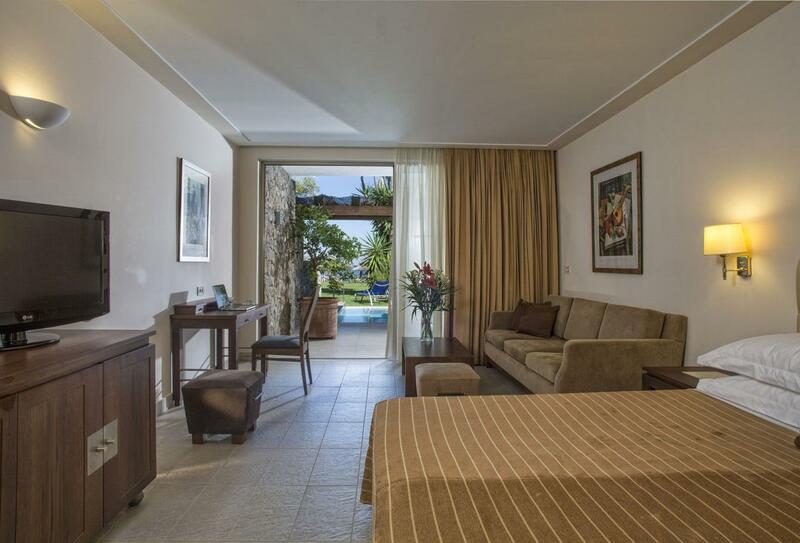 You will find two bedrooms and two bathrooms in the suite, as well as a spacious lounge area. A small gym, home cinema and heated swimming pool provide plenty of leisure opportunities, while panoramic views of the Ionian Sea will enchant everyone. Located next to the hotel main building, the Spa features 11 treatment rooms and 1 double room for a range of therapies and treatments. Soothe your senses and enjoy wraps, scrubs, facials, reflexology and aromatherapy. Horizon is the main restaurant at Kontokali Bay and serves breakfast buffets and delicious international fare for dinner. Some evenings include a theme to the cuisine. Open 07:15 – 10:30 for breakfast and 18:30 – 21:45 for dinner. Open for lunch, Akti serves lunchtime delicacies such as barbecued fish, meat dishes and traditional Greek cuisine. Open 12:00 – 15:15. Asterias serves a menagerie of international dishes for dinner. Open 19:45 – midnight. Albatros serves delicious dishes for lunch in an a la carte style. Open 12:00 – 16:15. As the main bar at the hotel, this is the best place for a drink and light snacks while listening to sophisticated piano music. Open 09:00 – 01:15. A beach bar and lounge café, Allegro is perfect if you don’t want to stray too far away from the sand and water. Open 09:00 – 16:15. 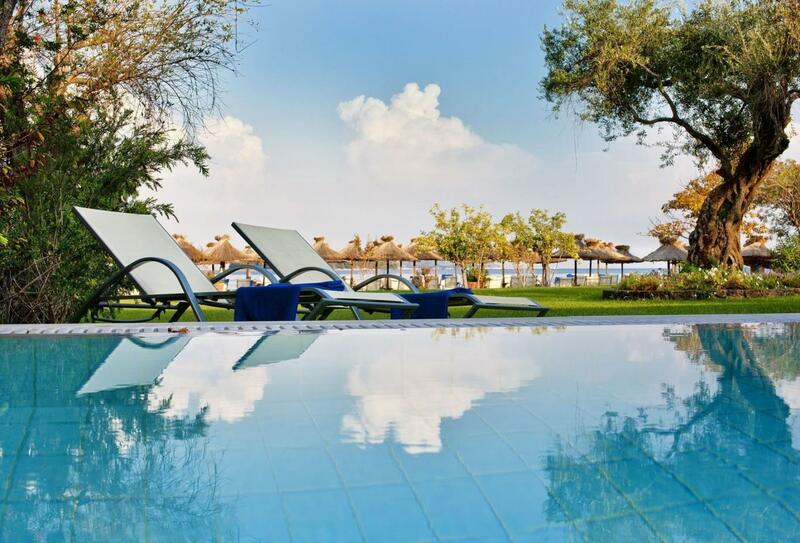 Kontokali Bay Resort & Spa is located on the East coast of Kontokali around 15 minutes away from Corfu and Corfu International Airport. 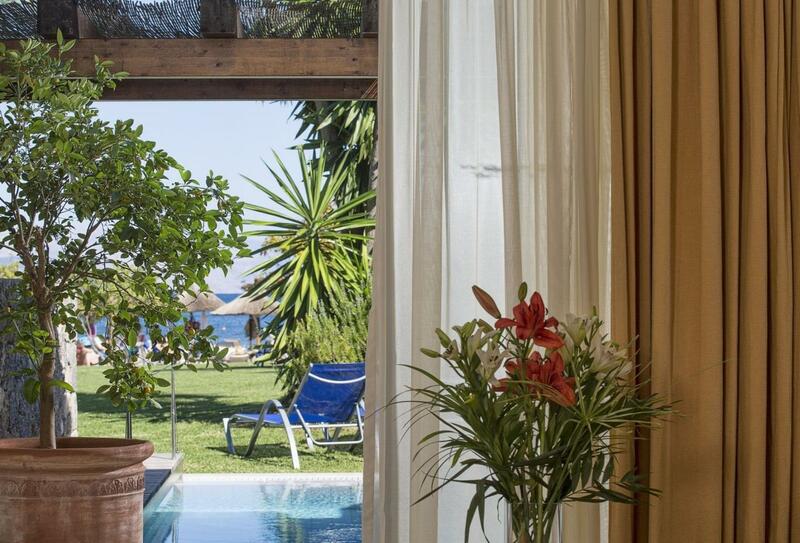 The hotel is built on a natural incline offering views of the sparkling Ionian Sea.